A bullet journal could be your secret weapon if you are someone who is constantly trying to keep up with the demands of life – pst…you are not alone. It isn’t difficult to lose track of appointments, fall behind on to-do lists and tasks you need to get done, and let your goals fly out the window. This is a common occurrence in everyday life. What if you found an easy way to organize your life, that is also fun and has loads of other benefits as well? This is exactly what you get with a bullet journal. 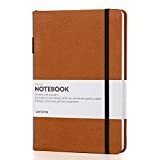 This type of journal is something that helps you to put your entire life into one book, use your creativity and imagination, and finally reduce the chaos that consumes you and overwhelms you daily. And don’t be intimidated by some of the complex bullet journals out there. It is good to look at other people’s layouts and pages for inspiration and fresh ideas, but everyone started simple. All you need to start off is a few sections, then you can gradually add more later on. 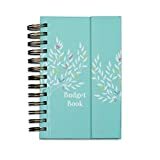 The most important thing is that you use it regularly and continue improving your home, personal, and work organization with help from the bullet journal. You can express your creativity. It fits within any budget. Your stress and anxiety are reduced. Keep reading to find out how you can organize your life and reduce stress with nothing more than a bullet journal and a little creativity. Before looking at each individual way you can organize your life with a bullet journal, it helps to understand what a bullet journal is and how exactly it is going to help with this. Just about everyone has a chaotic life, no matter what your lifestyle is like. Whether you work a 9-5 job outside the home and find yourself overthinking about the day’s tasks on your commute to work, or you are a stay-at-home parent that struggles with home, personal, and family responsibilities, you could probably do with a little more order and organization in your life. This is a common question that doesn’t have a simple answer. The definition of a bullet journal varies based on who you ask, but it is essentially a customizable journal that you set up to track every aspect of your life. You pick and choose what you want to include, like household chores and to-do lists, weekly or monthly calendars, and places you want to visit. It really does run the gamut of everything, but only has to include what you want to include. The bullet journal can do just that for you and so much more. With a bullet journal, you are not just using it as a typical journal or dairy – though you can definitely save pages for standard journal entries. It is a single book that holds your entire life. It helps you with special events and parties, plans you want to make with friends or family, to-do lists for your personal or professional life, important appointments, shopping lists, and a lot more. The great thing about organizing your life with the help of a bullet journal is that there are no rules. You can take inspiration from other people and use some of their ideas, but at the end of the day, it is set up however it works best for you. By bringing the journal everywhere with you, you always have a way to keep up with everything that is important to you. Who Should Use a Bullet Journal? You have multiple notebooks with to-do lists, tasks, goals, and reminders. You prefer using pen and paper to jot things down. You still use a regular calendar planner instead of a digital one. You enjoy making things pretty with different labels and colored pans. You have a lot of goals, but struggle nailing down tasks to achieve them. You find your life to be stressful due to missed appointments and frantic schedules. You like having a journal, but find full pages of writing to be tedious. In the coming sections, you will learn about some excellent ways to use your bullet journaling for organizing your life and finally relieving stress related to being overloaded with too much to do, and too little time. No matter who you are or where you live, you probably have a household that could use a little more organizing. The bullet journal is great for this. It is a journal you have with you everywhere you go, and you can include as many or as few pages as you want for the household organization. As with anything you include in the journal, you can customize it for your own needs, but take a look at these different ways you can use the bullet journal to help organize your household. What are you trying to save for? What can you do now to help save for that goal? Where do you feel your budget needs the most work? What are some things you can cut back on? What are your priority expenses? There are many ways to look at the budget and finance section of your bullet journal. It can be one page that tracks how much you have saved so far, or you can have an entire section dedicated to what you spend, how to save more, odd jobs that earn more money and trips to your accountant to work more on your financial plan. This is a simple way to start organizing your household a little more. It is not uncommon to have children of varying ages that help out around the house, but perhaps you feel the chores are not equal among all the kids, or that they could be doing a little more or a little less. To simplify this, consider creating a type of chore chart in the bullet journal. You can assign certain chores to certain children in the bullet journal to keep track on your own, then let the kids know on a weekly basis what they are responsible for. One of the best ways to organize your household with the bullet journal is to get meticulous with tracking and listing various tasks around the house. There are often things that get missed or passed over, due to forgetting about these small tasks until something breaks or it becomes a priority. Think about it – how many times have you walked up the stairs, noticing the smudges on the railing, but just told yourself you would handle it later? This happens often, and it can eventually lead to a lot of stress when you feel like you can never keep up. Instead of letting it consume you, start creating lists of tasks that need to be done around the house, working through them one by one. This might be that you have a few minor repairs that need to be done, some deep cleaning you would like to schedule over a weekend, calling up a carpet cleaner, or having the gutters cleaned. It can also be related to errands you need to run or organizing your garage. No matter what it is, write it down and really try to schedule it in. This isn’t just about what needs to be done around the house, but more what you need to purchase. Another way you can become stressed and overwhelmed is by knowing there are things you need to buy that aren’t necessarily a priority, but that you eventually want to pick up. This is something that is good to include in your bullet journal. You can have a shopping page where you list what needs to be purchased, including details like when it is needed by, and arranging the list by priority. Perhaps you want to get a First Aid kit and emergency water for natural disaster prep, or you simply want to buy some essentials you are running low on, like batteries and light bulbs. The last way you might want to keep track of your household and organize things better is with meal planning. Depending on your bullet journal and lifestyle, this may also be included in a health or diet section of the journal. However, if meal planning is being done simply for convenience and not necessarily to help with a new healthy lifestyle or weight loss, you can definitely put it in the household section. Be as detailed or as vague as you want here. You can simply make a list of what needs to be done each week for meal planning or use this section as a way to make notes of ways you can improve meals in the household. Take a few days to consider ways you feel your household or family life is falling behind, start making lists, and decide how you can incorporate these ideas into your bullet journal. There are a lot of different ways you can organize your life with a bullet journal, no matter what your lifestyle is like. This also includes things like work and school. No matter what type of job you have, and what your school or college life is like, you can turn the bullet journal into a planner, but also use it for all of these other areas of your life at the same time. That really is the beauty of having this type of journal. Here is a rundown of ways you might organize your work or school tasks by using nothing more than your bullet journal. Keep track of notes for meetings – This can apply before or after a meeting. If you are holding a department meeting for the company you work at, perhaps you want a good place to brainstorm what needs to be discussed, but also something to look back on later. Have a page dedicated to this in your bullet journal if you have a work collection. Make a list of improvements – While this is a bit vague, it works for any type of professional or business. This can be ways to make your freelance business more successful, to various notes about a brick and mortar company you own or work for. Continue adding to the list as more ideas come to you. Have short-term and long-term goals – This is probably one of the best ways to use your bullet journal to really organize your work life. You likely have a wide range of goals, regardless of the type of work you do. Make a list of all your goals, organizing them as much as you can. Try to think of short-term goals that you can accomplish relatively easily and that can be done within weeks or months, then some long-term goals that require a little more work. Add brief task lists for any of your major goals so you know what is needed to accomplish each goal. Create a simplified business plan – Business plans are necessary any time you want to start your own business, from opening a retail store to becoming an entrepreneur and working for yourself. You can use the business plan for your own purposes, but also when you are getting a business loan or discussing the financial aspects of the business with your accountant. Use the bullet journal to start working on your business plan, using it as more of a bullet point version, not the full detailed business plan. This is a great resource to have and look back on whenever you need it. Organize task delegation – Lastly, you can start working on various tasks, but not just things you do on your own, but who you will delegate them to. Again, this applies to many types of professionals. If you run your own business from home and you use independent contractors to help you out, you need to know what task each of them is responsible for. You can start brainstorming with your bullet journal. The same applies to when you are a manager of a company and need to figure out which employee is responsible for which task in a project coming up. Make a list of your school supplies – At the beginning of each semester, make a quick shopping list of the school supplies you might need. This might be a simple list, but for some people, there are extensive items you need. You might be in art school where the supplies are expensive, so you just buy a few things at a time. Keep track of class schedules – Are you starting at a new school or a new semester? In both high school and college, it gets a little chaotic, not to mention stress. Use your bullet journal to write down your class schedule, along with details about where each class is if you need it. Write down important events – If you are in high school or college, there might be events coming up for school that you don’t want to miss. Use a page in your bullet journal to write them down, and include any notes or reminders that are necessary for each event. Have a schedule of exams and finals – Your education page in the bullet journal can just be a one or two page spread where you simply have quick reference notes. For example, you might want to have a calendar or bullet point list with all of the upcoming exams and finals for this semester. This is a simple way to keep track of them, and cross them off when you’re done with each exam. Make goals for your education – The bullet journal is also a wonderful place to write down all your education goals. Perhaps you are not currently in college, but based on your long-term professional goals, you know you need to enroll. This is a good place to list the education goals, and have some detailed task lists to accomplish them. Remember that this is not a comprehensive or full list. What you use the bullet journal for is always going to be customized to your own needs. If you are someone that loves to throw parties or has multiple notebooks and scrap pieces of paper with various holiday ideas, you know how quickly it can become chaotic. Why not use your bullet journal to help organize all of those thoughts and ideas in one place? The bullet journal is not only good for big parties you plan to arrange, but you will have it as a resource to look back on for future party planning endeavors, so that you can see exactly how you set up your best events. Even if you don’t host a lot of parties, you might be looking for a way to manage your shopping lists. During the holidays, whether you celebrate Christmas or Hanukkah, you probably have a long list of friends and family to shop for. Do you ever notice that you almost always forget someone? Maybe you forgot your mailman or to get something for your boss. This is where the bullet journal comes in! Have one page dedicated to your holiday shopping lists. List each person you want to get a gift for, first of all. This alone is extremely helpful so you don’t miss anyone. Then next to each name, give an idea or two for what to get for them. You can adjust this as needed based on your budget and the occasional impromptu gift you find, but it is a great way to get started with your holiday shopping. The first way the bullet journal can help for parties any time during the year is by helping you brainstorm them. You can work out what you want to do, such as the theme of the party, decorations, food, party favors, the guest list, and so much more. It is an excellent way to start planning a party, and look back on this list in your journal whenever you need to. Don’t forget to include a detailed invite list, and various to-do lists! You can have an entire collection in your bullet journal dedicated to a big party or event you are planning. Have one area with your guest list so you can be sure to invite everyone and not miss a single person. Then, have to-do lists, such as when to order the cake or what day you need to send out invitations. The type of to-do lists you have will of course be determined by the type of event or party you are planning and how much of it is your responsibility. Lastly, you can use your bullet journal to delegate different tasks to people who are helping you out. If you are planning Christmas dinner, make a list of everyone coming and what each person is planning on making or bringing. For other types of events, you might have someone in charge of flowers, while another person is handling the catering. This is helpful as a resource to look back on whenever someone isn’t sure what they are supposed to do. You will quickly discover how much goes into planning parties, and how helpful it can be to have everything conveniently located in your bullet journal. Moving on to the next area of your life is with your physical and mental health, including fitness goals, weight loss, and so much more. This is something practically everyone is hoping to improve – your health. Whether you are struggling with weight loss or are trying to figure out why your anxiety has been worsening as of late, you can really use the bullet journal to track your mental and physical health, and focus on personal wellness. If you are currently trying to lose weight, you probably know that keeping track of the pounds and inches lost is one of the best ways to motivate you. When you start seeing the numbers drop on the scale, it encourages you to keep up with your weight loss efforts. If you change something in your weight loss routine, and end up gaining a pound or two, you know that wasn’t the best idea, and to switch it up again. Have a page in your bullet journal where you can record your weight and inches as often as you need to, in order to have something to look back on and so you know what your progress has been so far. You can also include some before, progress, and after pictures in this section of the journal. It is also a good place to work out what your diet is. This may just be a single page in the journal for summarizing what your diet is like, such as food you can or can’t have, but you can also make it more comprehensive. If weight loss and switching to a healthier lifestyle is a big part of your life, dedicate more of the journal to it! Have detailed food logs and journal entries on good days and bad days. If your doctor or nutritionist want to see how you have been eating, it is all right there. Maybe you aren’t as concerned with weight or fitness, but just general health and wellness. You can use the bullet journal for this as well. This will really depend on your own needs and current health status, but think of your health and what concerns you the most. Maybe you want to have a page dedicated to your skincare routine as you were diagnosed with rosacea recently, or you want to record triggers for a bad allergy problem. It really doesn’t matter what it is – the bullet journal will help you keep everything in one place. Lastly, we want you to understand how to use the bullet journal for your mental health. If you have a lot of stress, anxiety, depression, or other mental health disorders, the first thing to do is figure out what your triggers are. That way, you can learn to reduce them and live a happier, more fulfilling life. Have a page or two dedicated to your triggers regarding the mental health issue you have. This might be writing down what you were doing when you had a panic attack, or recording each time your depression worsened. You can look back on this and look for patterns. Maybe your depression is worse when you eat a certain way or after talking to someone specifically, or your anxiety seems to get worse when you are out in public. This is all really important information to know. Do you have a tendency to lose track of addresses, emails, phone numbers, or passwords? If so – you are definitely not alone. This is an area of life that can quickly get confusing, chaotic, and very stressful at times. While there are also ways to manage this information digitally, that isn’t without error. What if you need some type of vital information quickly, but your phone is dead or you don’t have your tablet with you? This is when it helps to store some of the important information in your bullet journal. One thing to note about passwords: be careful what you share in your bullet journal if it is occasionally looked through by other people. Consider the type of password you write, and be very careful with things like bank account and debit card PINs. These are not safe to include in a journal that doesn’t lock up or that you don’t secure very well. To finish up this information on organizing your life with a bullet journal, we want to take a moment to describe migrating tasks. This is one of the most important things to understand about a bullet journal, because there is never going to be a perfect day or perfect week or perfect month. You should always be optimistic with the things you hope to achieve during any given week or month, but you might not finish those task lists 100 percent of the time. This is where the migrating process comes in. What Does Migrating Your Tasks Mean? Migrating your tasks is all about taking anything from your previous schedule or to-do list and moving them to the following month. Perhaps in November, you were hoping to finish a work project, but didn’t quite get it done. If this is the case, you want to finish it in December. Go to November, make a note that you are migrating that task to December, then add it to your Monthly Log for December. How Does This Help with Organization? It lets you understand that just because you can’t do everything you set out to do 100 percent of the time, doesn’t mean you shouldn’t try. Having a more orderly, well organized life isn’t about perfection, it is about effort. When you move from month to month in your bullet journal, you begin understanding what your own personal strengths and weaknesses are, and can use it to motivate yourself to do better. At the end of the day, the bullet journal is there to help you, not punish you. Let it guide you to a more organized and stress-free life, but give yourself room to grow and accept that life will hand you challenges.